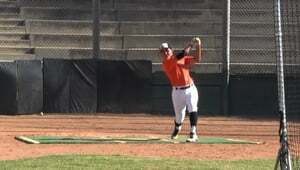 Nathaniel Aguirre BP Side from Michael Cosgrove on Vimeo. Nathaniel Aguirre BP Front from Michael Cosgrove on Vimeo. Nathaniel Aguirre OF D from Michael Cosgrove on Vimeo.